I read this tag over at Read By Tiffany and you should totally go read her answers, after you’ve read mine…obviously haha. Anyway, let’s get on with it shall we? Erm let’s see, Songs About Us by Chris Russel. The first book was awesome, the sequel EVEN BETTER. Just to give you a brief run down, the trilogy (third book due out this year!) is following a boyband and what happens when an average girl gets involved with them through photography. However…it’s not your typical contempory as there’s this sub plot going on behind the whole romance and typical stuff and it causes you to think and look for clues. Honestly, highly recommend them. I mean it’s not ‘realistic’ per say but if you’ve dreamed of being able to say ‘I’m with the band’ give them try! Tea all day and night. I survive on tea these days, like I say, stereotypical British girl here. Hi. Hello. Would you like some tea too? Physical book. I don’t have anything against eBooks, it’s just well…I read faster with a physical book. Plus the book smell, stroking the book, holding the book, turning pages…yeah well that’s never going to be replaced. Yes I take a physical book with me to college – yes I have issues but whatcha gonna do about it? I love knowing I have a book with me, it’s perfect for being antisocial. I mean let’s see…Jem Carstairs, William Herondale, Liam Stewart or Adrian Ivashkov. (I’m ridiculously proud I spelled Adrian’s surname right without looking it up, damn Royal Moroi haha) Now for those of you who don’t know, Jem and Will are from The Infernal Devices by Cassandra Clare, Adrian is from The Vampire Academy and the Bloodlines series both by Richelle Mead. Liam is from Alexandra Bracken’s The Darkest Minds series. See I couldn’t choose, so erm…sorry? So I was mooching about my not so local library (I live in the middle of nowhere how fun) and my mum spotted this book by Chloe Neill. 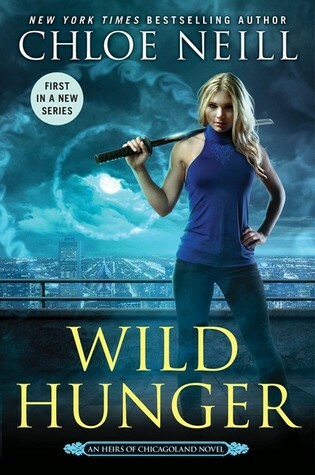 It was the 1st or 2nd book in the Chicagoland Vampires series and I am so glad I took a chance on it. It’s not exactly YA, it’s Adult but I wasn’t aware of this until much later. It’s an amazing series, highly recommend if you’re into paranormal. Probably starting this creation here, this blog o’ mine and sticking with it. I think as readers we can sometimes find it hard to stick at things, particularly book blogs because we have our own lives to deal with, as well as reading to get done. Never mind whatever else is going on hobbies, school and so on. It’s something so many people who don’t blog or/and read get. They don’t realise how much work truly goes into a blog, creating posts and getting homework/assignments done, going to work, and you know…reading. That thing, we’re known for. Hopefully this blog is here for many years to come. So I’m an awful reader and I’ve not recently finished any books as I’m writing this, the last book I finished was The Hunt by Chloe Neill, which is the last book in the Devil’s Isle trilogy. Lady Midnight or Lord of Shadows by Cassandra Clare OR Empire of Storms by Sarah J Maas I’m not sure which is the longest. It’s one of them…I think. At the moment? None. 0. I own three shelves though, which are attached to my wall and without them I would probably be on my bed crying. Why? Well because smart me thought, I’d give my grandma her bookcase back as my books outgrew it and it’s unstable structure wise. So about 60% are in boxes now, 35% are on the shelves and 5% are on top of the desk like area I made with the boxes. I’ve got to remind myself I don’t have room for anymore books at the moment, but it’s hard, books and pretty covers with me. Never a wise move. I’m pretty sure I was a magpie in another life. A Clockwork Prince and A Clockwork Princess. Apparently I like to make myself cry…with the damn feels! Downstairs in the lounge, with a candle lit, in the chair with my cup of tea. Oh, and preferably in the evening. But I mean, I’ll pretty much read anywhere if I’m in the mood. I mean, I stand by the fact that even the books you hate/dislike, they still showed you something. Maybe it was what character traits don’t work, or whether you just couldn’t get on with the voice or writing style. They still have something to show us. For me, Paper Towns by John Green. Never been so annoyed in my life, I learned that you need to actually write characters who care about each other and not just themselves. The Shiver trilogy by Maggie Stiefvater as well as the Slated trilogy by Terri Terry both I started over 3 years ago…I’m easily distracted it seems haha. Plus I have to reread the first books to both, I’ll get to them eventually. Bands. I’m a huge fangirl for three bands The Vamps, 5 Seconds of Summer and RoadTrip (they’re an upcoming boyband which is why you probably won’t have heard of them.) I’m a proud roadie and always will be, so yeah…music is my other love due to finding the story within the lyrics. I can’t wait for this to be in my hands, and to be able to read it. It’s a spin off of the Chicagoland Vampires series, and to be able to read this you NEED to read the other series first. And don’t read the synopsis before finishing the last book of Chicagoland Vampires as it does spoil you for the ending. But I can’t wait for this, aaaaaah! I have one of the worst habits, of reading the last page of a book BEFORE I finish it. I’ll be part way through it, and then read the last page. 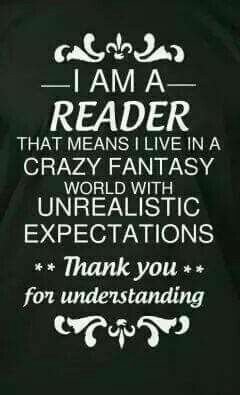 Yes I spoil myself, it’s why I’m more chilled out over spoilers than most bookworms. However if you’ve read A Clockwork Princess – you’ll know all about the epilogue. Yes, I read the entire epilogue when I was 100 pages into the book and I put it back on my shelf and didn’t finish it for a year. I also always cry at the epilogue, I’m emotional. Solitaire by Alice Oseman – great book too! Read that years ago now, like 4 or 5 but I still remember it vaguely. I bought two books recently, one of which I’ve already read. Once and for All by Sarah Dessen and What I Thought Was True by Huntley Fitzpatrick. Oh god let me think, I don’t know I tend to read past my bed time anyway probably Lord of Shadows I don’t know. If you’d like to read some other tags check out my book tag list, where I list every book tag I’ve ever done on this blog (featuring some original tags). Feel free to join in on the tag of course, if you tag me or credit me as to where you discovered the tag I’ll read your answers and comment. I totally agree with the fictional characters you would date in high school. I haven’t finished Darkest Minds yet, but I’m excited to check it out! You’re making me really interested in the Chicagoland Vampire series…what’s it about? Is it like VA/Bloodlines?